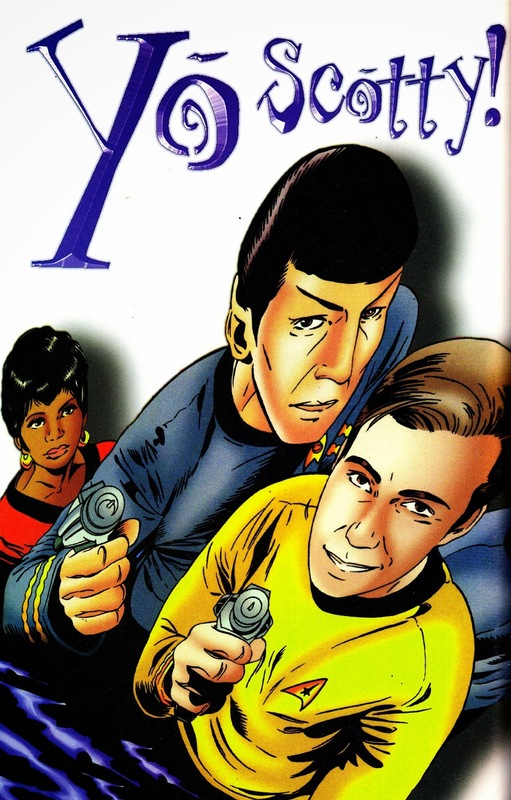 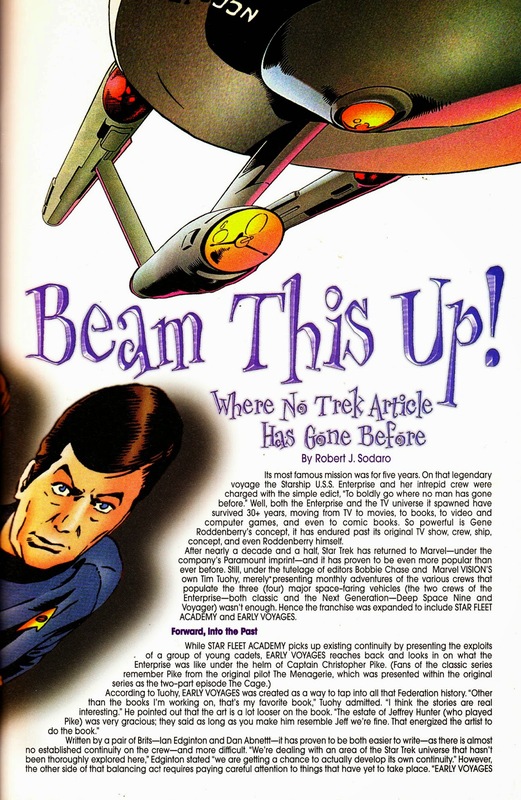 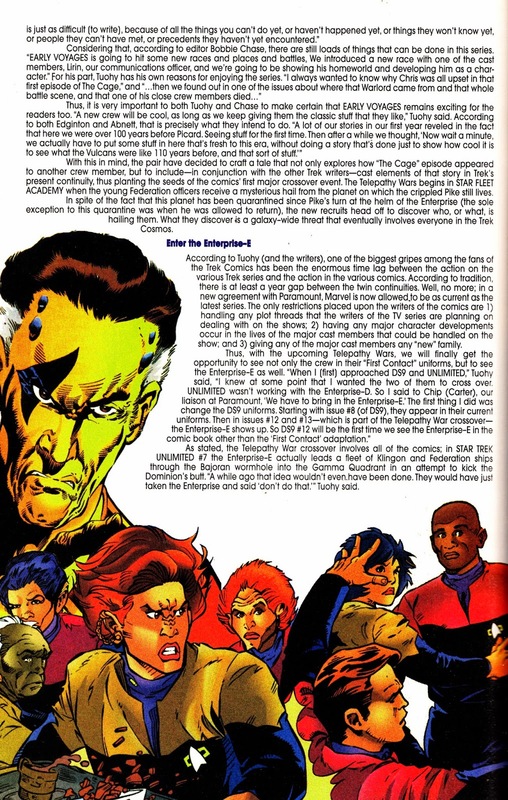 This is a 1997 article on MARVEL's roster of STAR TREK titles that appeared in their in-house "fan magazine" MARVEL VISION (issue 20, August 1997). 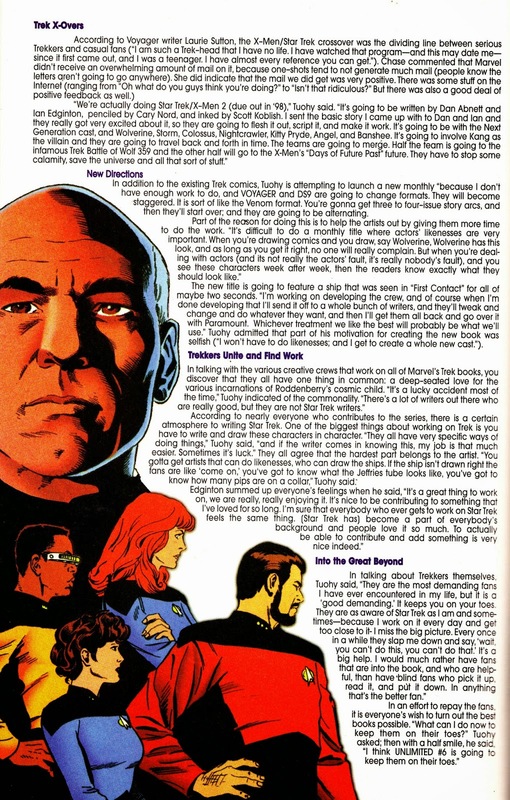 This was, of course, Marvel's second crack at the franchise following their ill-fated 1980-82 run which dropped out of warp speed after only eighteen issues. 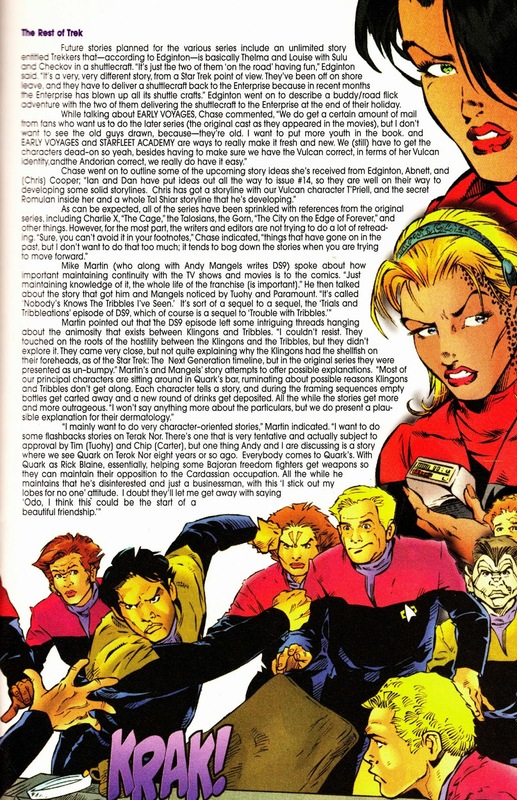 MARVEL VISION was the successor to the long-running (over a decade!) 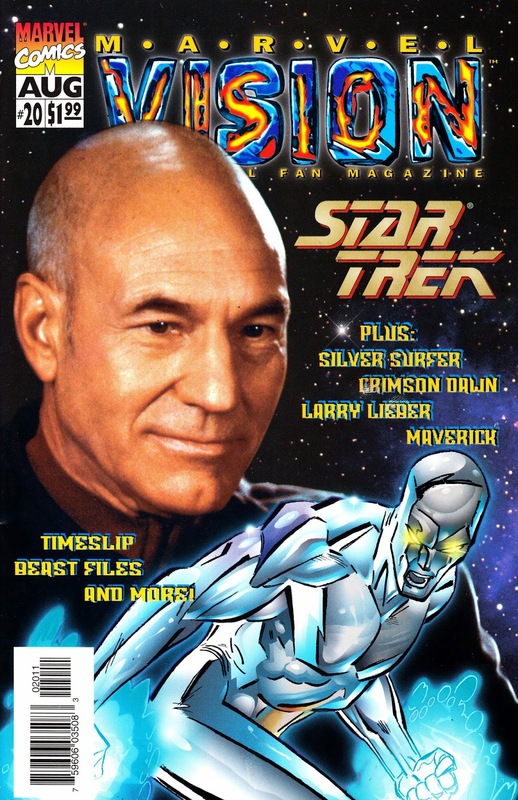 MARVEL AGE MAGAZINE which itself, after a hiatus, replaced FOOM magazine (albeit with much wider distribution).